Got a secret? I know I do…and I am not afraid to tell! I LOVE Spanx! Spanx smooth and shape in all the right places, giving me confidence to wear pretty dresses and figure flattering clothes I may otherwise feel not so comfortable wearing! Today Zulily has an awesome 50% off deal on Spanx! If you have been wanting to try these for yourself, here’s your chance (prices start at $11.49)! 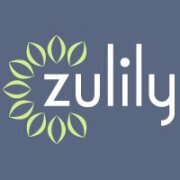 Shipping for Zulily is usually around $6.95 (no matter how much you buy). Use the promo code COUPCAB593 to get 10% off $30 or more.